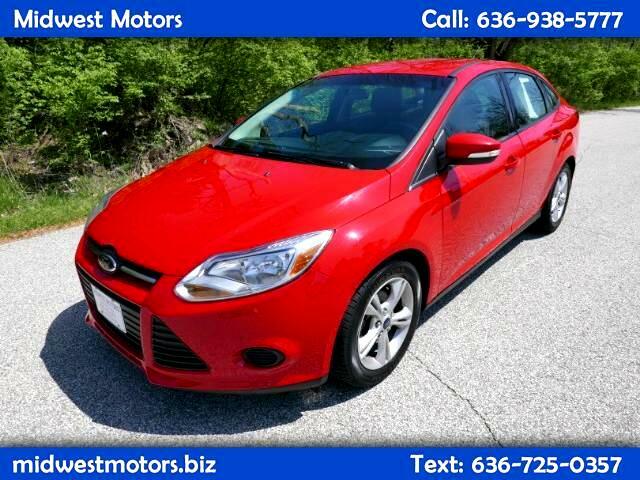 Lots of options on this 2014 Ford Focus SE Sedan! LOW MILES - Just 50,637 miles! Power windows and locks! Hands free phone controls! CD Player! User friendly, intuitive center console controls! Steering wheel controls keep your eyes on the road and good tunes in your ears! SYNC radio from Microsoft means you can pair up your devices for extra connectivity! This car has all the bells and whistles, and all for under 11k! The inside is CLEAN - this one is ready for your driveway. Give us a call today, WE FINANCE and TRADES ARE ALWAYS WELCOME!